After the two-day regional camp of VYLH, the organizers invited us to have a 30-minute river cruise at the mighty Agusan River (emphasize of the adjective mighty). It was my first time to experience such and I had learned so many things about the river - a story on how it served the lives of Butuanons for generations. 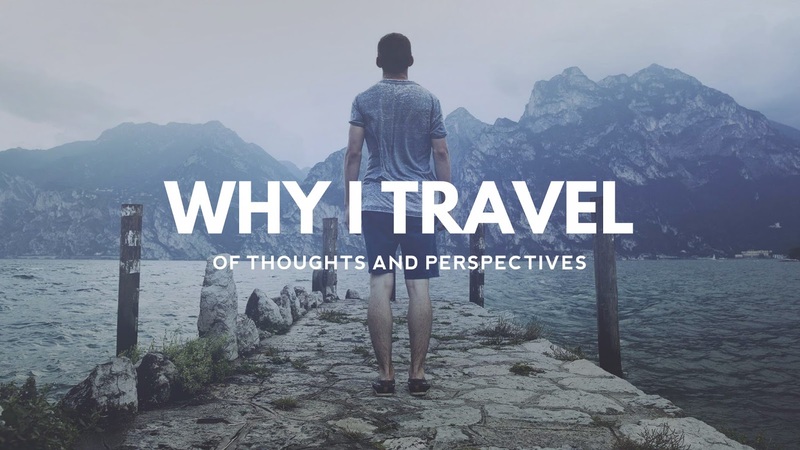 Sit back, relax and enjoy this virtual tour to the mighty Agusan River! Agusan River is a river located in the eastern part of Mindanao island in the Philippines, draining majority of the Caraga Region and some parts of Compostela Valley province. It is the third largest river basin of the Philippines with a total drainage area of 10,921 km² and an estimated length of 350 kilometers from its origin. The headwaters of the river is found in the mountains of Compostela Valley, near its border with Davao Oriental and east of Tagum City. It flows through the wide Agusan River valley which measures 177 kilometers (110 mi) from south to north and varies from 32-48 kilometers (20–30 miles) in width. It finally drains into the Butuan Bay at its mouth in Butuan City. 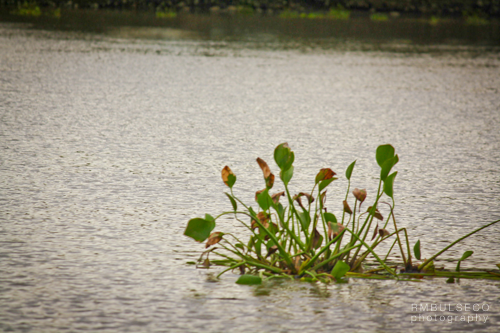 The river is also the third longest river in the Philippines. As we channeled our way through the river, I have noticed big trees along the river banks. 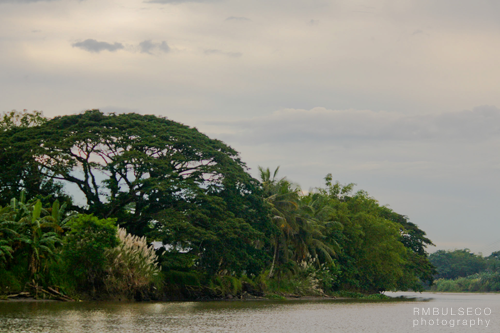 One of the locals told us that a long time ago, the river wasn't that wide, until series of deforestation activities in the Caraga region caused the widening of the river. Speaking of deforestation, the city of Butuan had its worst flooding experience back in the early 80s. Before the great flood, there were kalesas which served as the main transportation system of the city. 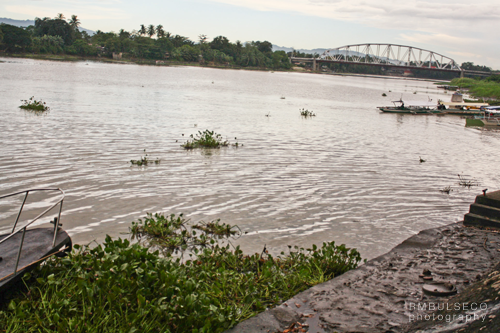 After a few days of heavy rain, the Agusan River overflowed and flooded the city for more than three months. Little by little, several horses died due to lack of food. Illegal logging activities were blamed on that particular disaster. Dikes were constructed after the flood. 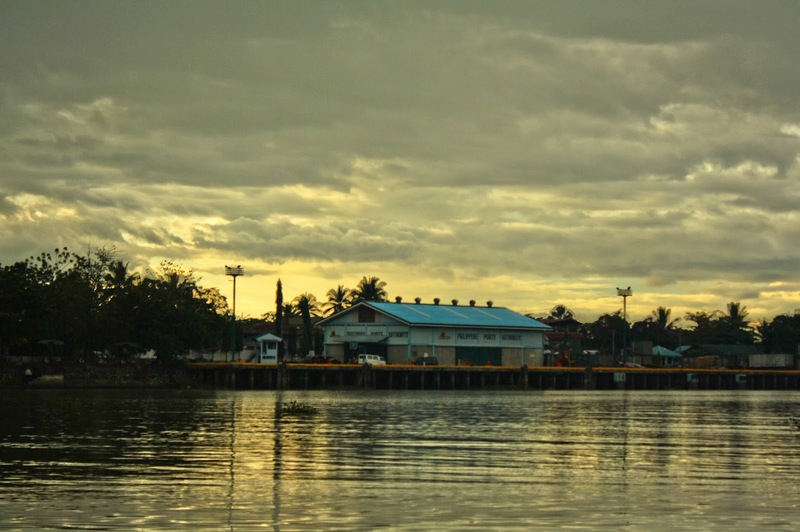 The old port of Butuan is located alongside the river bank. 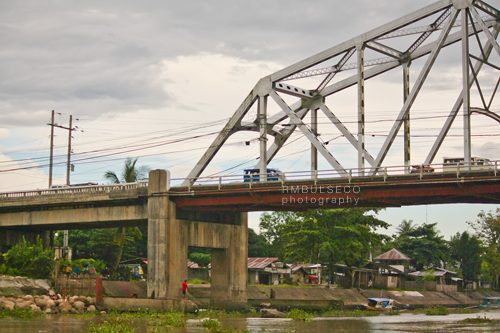 But because the river got shallower due to siltation, the port of Butuan was transferred to a safer and deeper place. The old port of Butuan. 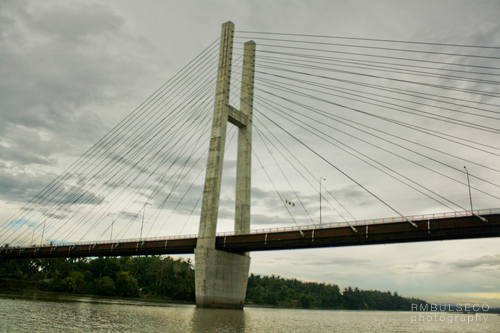 There are two bridges that cross the Agusan River, the Magsaysay Bridge and the new Diosdado Macapagal Bridge. 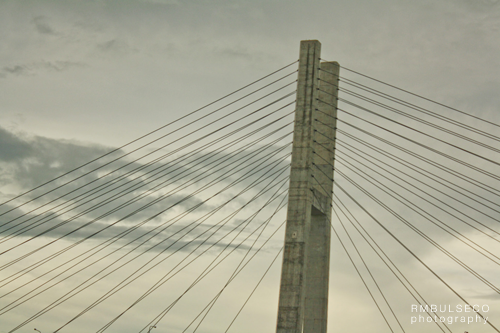 The latter is Mindanao's longest bridge and its design is synonymous to Mactan's Marcelo Fernan Bridge. 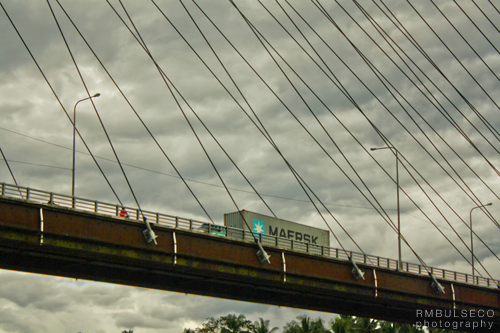 The bridge cost around Php 2.2 billion and it surely decongested the outgoing and incoming traffic of Butuan City. 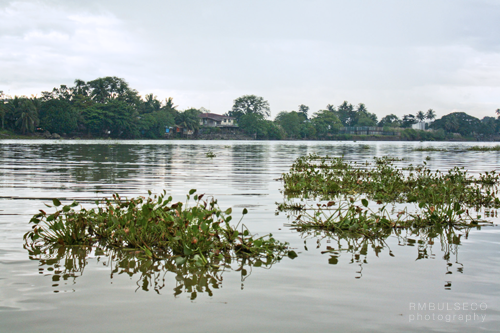 And there were lots of water hyacinths floating in the river. Rivers do have the power to shape civilizations and influence the lives of people. The mighty Agusan River had surely brought a LOT to the Butuanons, both important and devastating things.